Kim has had a prominent career in both the media and arts industries. An accomplished musician himself, Kim has been CEO of the Australian Film Commission and production house Southern Star Group, a senior executive at the ABC, head of Fox Studios and chief executive of Foxtel. He turned the latter around from being loss making to highly profitable, establishing its place in the Australian media landscape. In December 2011 Kim was appointed chief executive officer of News Limited (which later became News Corp Australia) running the Murdoch media interests in Australia. He left in August 2013 and six months later was appointed a Commissioner of the AFL. 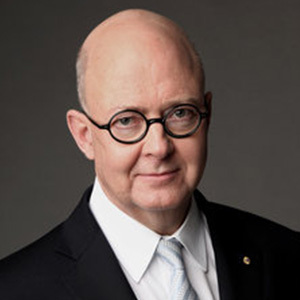 Since January 2015 he has also been on the board of the Copyright Agency Limited and is currently its chair and is also the current chairman of the Thomson Reuters Founders Share Company and a board member of Myer Family Investments. In 2006 he was appointed a Member of the Order of Australia (AM), for his service to arts administration through executive roles with a range of cultural organisations, to music education and the formulation of arts related public policy. Back to 2018 AANA AGM and Christmas Drinks.